EcoLogic provided limnological expertise to Genesee Finger Lakes Regional Planning Council, Central New York Regional Planning and Development Board, and stakeholders as part of the Cayuga Lake Watershed planning effort. Our services included compilation and review of existing data for the lake and its 785-square mile watershed, preparation of portions of the Preliminary Watershed Characterization Report and the Restoration and Protection Plan, and extensive public outreach. Subsequent assignments expanded our work to include subwatershed modeling to identify sources of excess sediment and phosphorus loading, and developing a wetland restoration strategy. 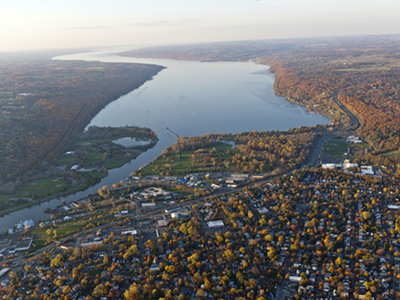 View the Cayuga Lake Watershed Characterization Report and the Cayuga Lake Watershed Restoration and Protection Plan online.